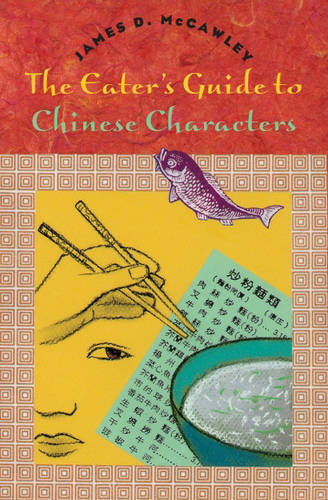 In The Eater's Guide to Chinese Characters, James D. McCawley offers readers a guide to deciphering the mysteries of Chinese menus and the opportunity to enjoy new eating experiences. An accessible primer as well as a handy reference, the book shows how Chinese characters are written and referred to, both in script and in type. McCawley provides a guide to pronunciation and includes helpful exercises so users can practice ordering. His novel system of arranging the extensive glossary - which ranges from basics such as "rice" and "fish" to exotica like "Buddha Jumps Wall" - enables even the beginner to find characters quickly and surely. He also includes the nonstandard forms of characters that often turn up on menus. With this guide in hand, then, English speakers hold the key to a world of tantalizing - and otherwise unavailable - Chinese dishes. "Unlike some of the rest of us, McCawley can enter a Chinese restaurant secure in the knowledge that his digestion will not be impaired by the frustration of watching Chinese customers enjoy some succulent marvel whose name the management has not bothered to translate. . . . McCawley does not spend half the meal staring at his neighbor's bean curd with that particularly ugly combination of greed and envy so familiar to--well, to some of the rest of us. . . . McCawley endeavors to free the non-Chinese-speaking eater forever from the wretched constriction of the English menu." Calvin Trillin, "New Yorker"--Calvin Trillin "New Yorker "
Unlike some of the rest of us, McCawley can enter a Chinese restaurant secure in the knowledge that his digestion will not be impaired by the frustration of watching Chinese customers enjoy some succulent marvel whose name the management has not bothered to translate. . . . McCawley does not spend half the meal staring at his neighbor s bean curd with that particularly ugly combination of greed and envy so familiar to well, to some of the rest of us. . . . McCawley endeavors to free the non-Chinese-speaking eater forever from the wretched constriction of the English menu. Calvin Trillin, "New Yorker"--Calvin Trillin "New Yorker ""